Any insect repellant needs to do just that but it needs to be gentle on your skin too. 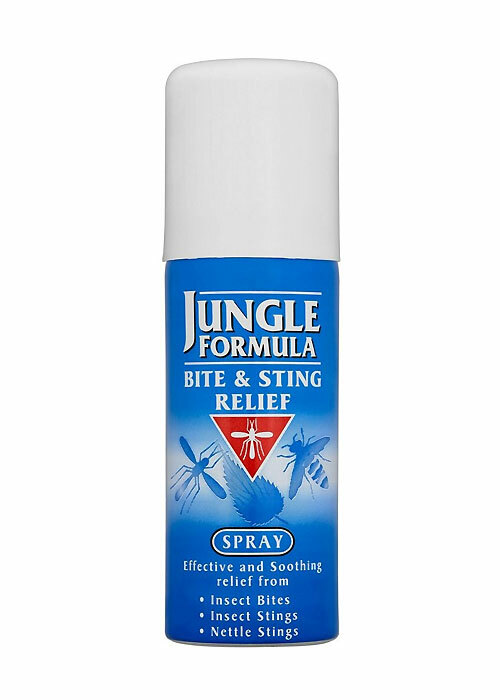 Jungle Formula Bite and Sting Relief Spray is perfect for the job. Take this everywhere with you, not only abroad but in your garden at home too. It will help to repel insects but if you are unlucky enough to be bitten it will help to reduce the welling and redness. Pop one in your beach bag for quick and easy access. Please note that due to customs regulations in some countries concerning aerosols this item is only available to UK customers.